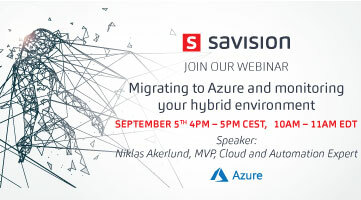 If you are working with Azure and want to learn more there is an opportunity to go to a conference in April that is free of charge and in the center of Stockholm! 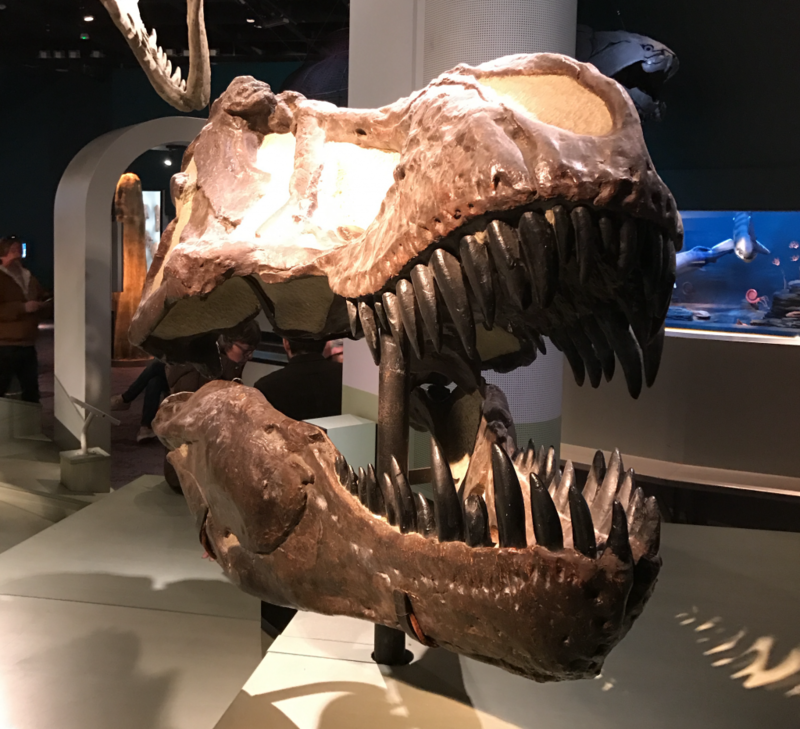 It’s incredibly fast change in today’s IT delivery, and for a service provider, it’s about embracing the new or risking the latest T-Rex. 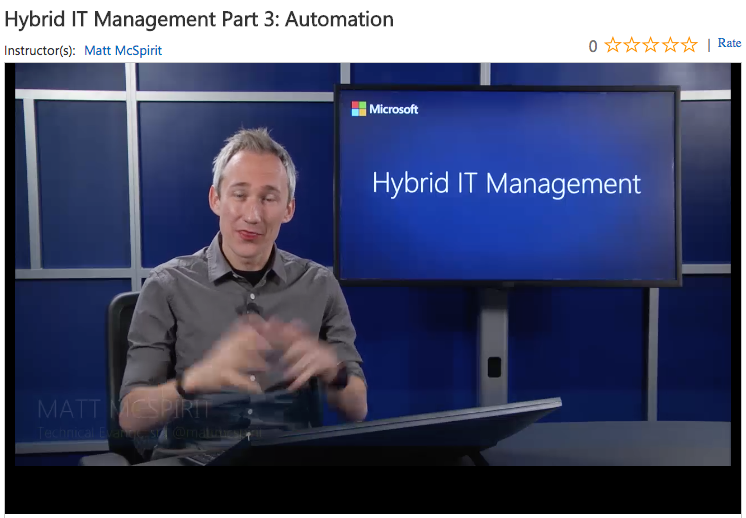 In this session we review how to automate and create standardized solutions in Azure where management and monitoring are included as a service. Interaction with customers through Microsoft Teams and Bots that speeds up change cases and provides quick feedback! 24/7 you can know status and costs as well as order new services that automatically end up under NOC when it reaches production status. I hope I will see you there! I have got the opportunity to speak at Ignite again, this will be my third year I will do a session on this gigantic conference! I have a Community Theater Session where I would love to have you as a guest if you will also be there and have some time for this topic! Delivering managed services for a service provider can be cumbersome and often the quality and reliability is not first priority. Utilizing PowerShell and Desired State Configuration makes it repetitive, versionable, and testable! 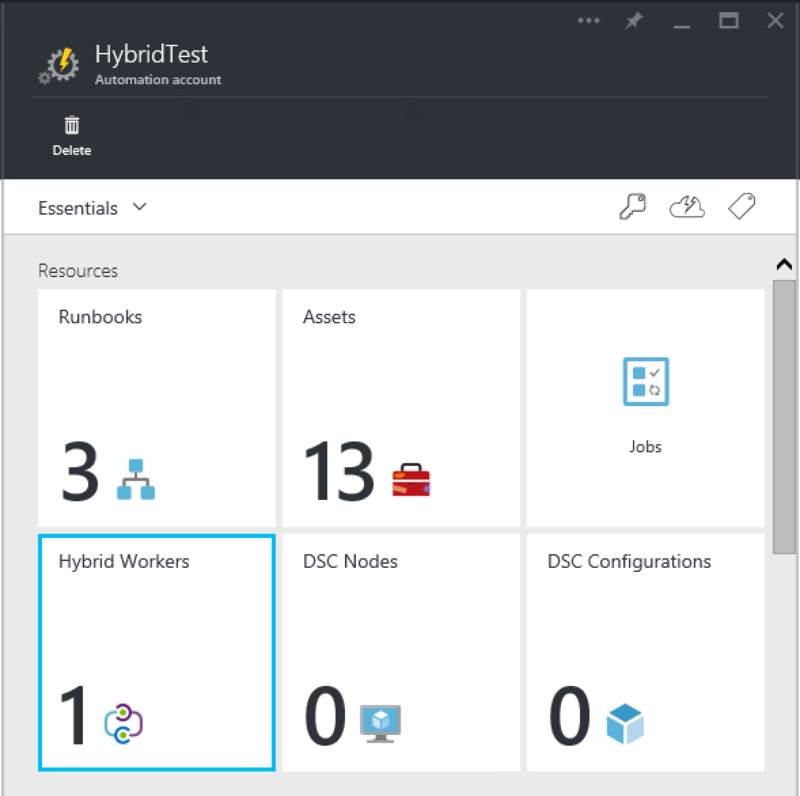 In this real-world case we have implemented a release pipeline to make sure that PowerShell scripts, modules, and dsc configurations are tested before put into production use in Azure Automation. So the day has come when Windows Server have arrived at Microsoft Azure and you can start deploying your new workloads. Here you can find the link to the course. 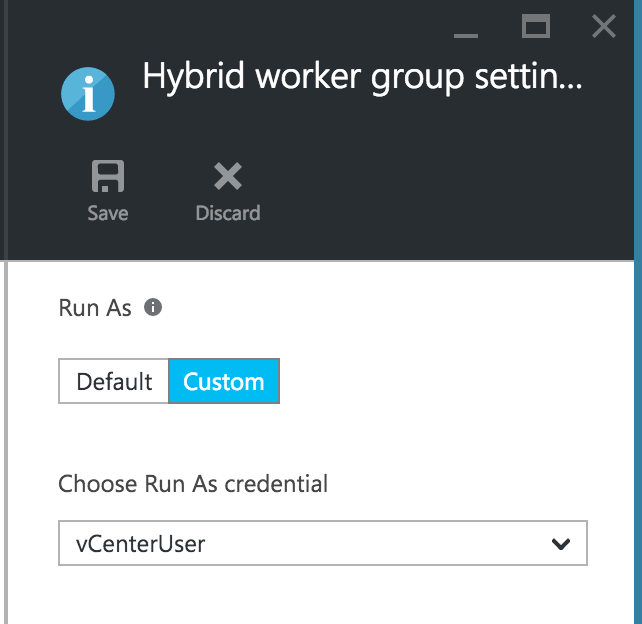 Microsoft and the Azure Automation team has made it possible to use a custom account when running a job on a hybrid worker and that is awesome! 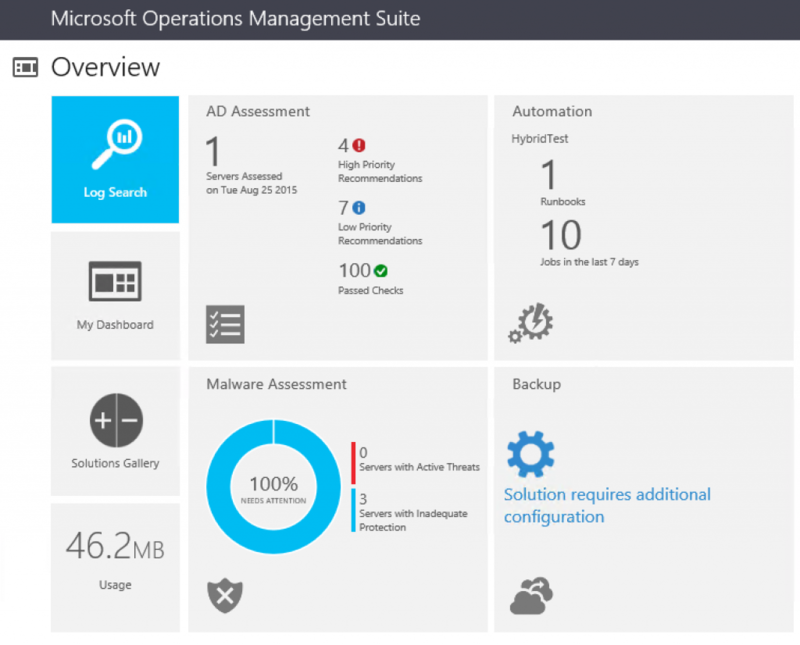 Originally the jobs runs under the Microsoft Management Agent´s service account context and that is not always wanted. As I described in a post that I did some time ago I used a parameter -PScredential with the inlinescript but now I can with the new functionality get the whole job in the right user context, the user should be saved as a credential asset in your automation account! 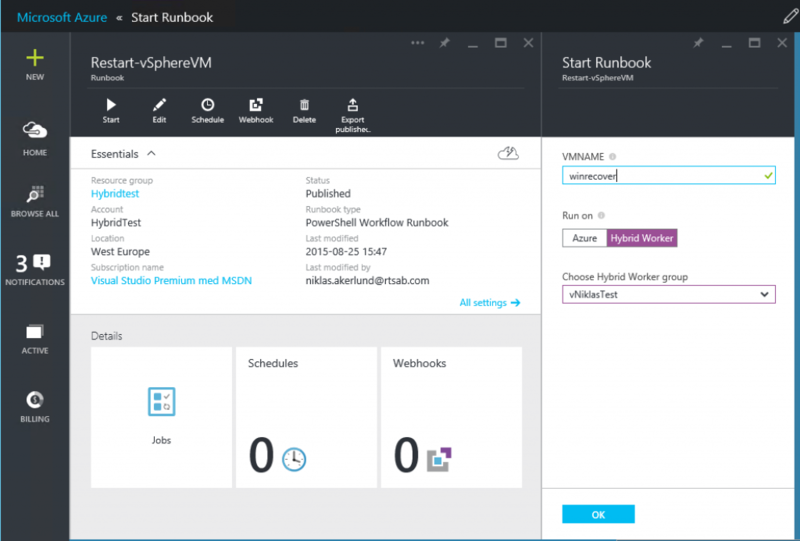 Last year also the possibility to use PowerShell scripts runbooks besides Workflow runbooks! I read Markus Lassfolk´s post about changing VM´s network adapters MAC from dynamic to static which is the prefered setting that you should use for your Hyper-V VM´s. 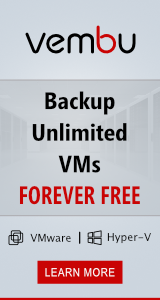 So How could I utilize this with Azure Automation runbooks instead of an script that is run on the VMM server? Either start it from powershell console if you have Azure PowerShell module installed or within the GUI and I used only one input parameter and that can be used for an explicit VM or “All” VM´s. 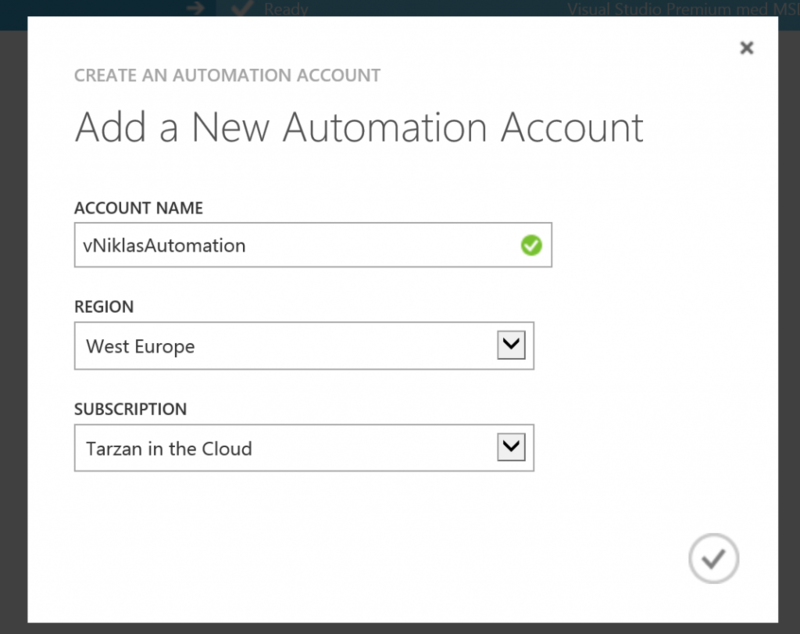 Hope that you see the potential in Azure Automation and Happy automating! 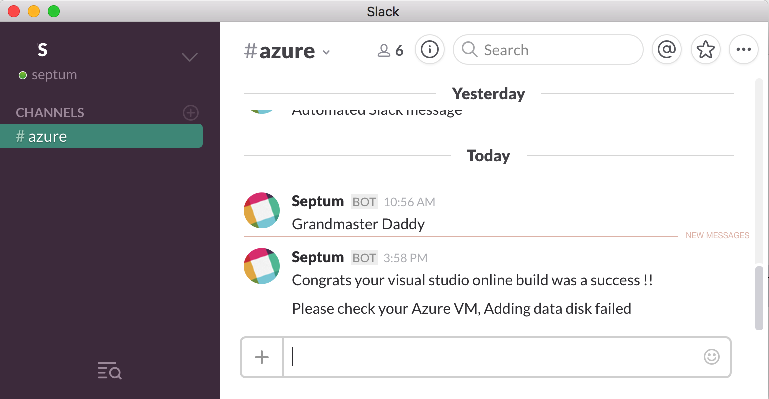 I have been playing a bit with Azure Automation again, and my company and also several customers run Slack, ever heard of it? It is gaining grounds in IT as a collaboration tool and email-killer. With slack you can connect with a web browser or an app that is available for almost all platforms today! this making it really easy to get everyone onboard using it in your projects or teams to keep up to date. So how can this be utilized with automation?! 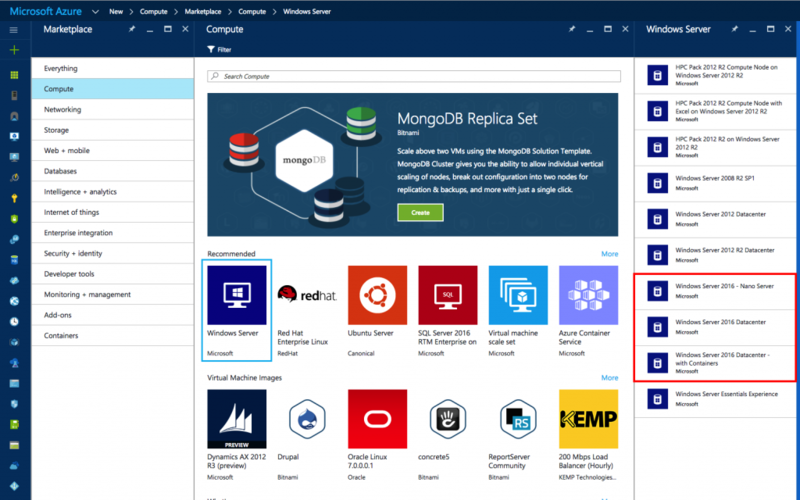 Assume that you have some deployment or automated build process that either runs in azure or on premise and your devs want to get information if it was successful or if it failed.. So in that deployment runbook in Azure Automation you can call the Update-Slack runbook with parameters to give the user information on what have happened if it failed or if it was successful. Another way is if you have a system that can send a web request, then you can use the new Azure Automation webhooks to kick of the runbook to update Slack. My runbook example contains parameters for both ways so I do not have to create two different runbooks depending on what way the req comes to start the Update-Slack runbook. So how do I handle this in the runbook? In the following runbook I have the user and the token saved as variables and three input variables depending on where the request comes from. # Collect individual headers. VMList converted from JSON. Write-Output "Runbook started from webhook $WebhookName by $From." 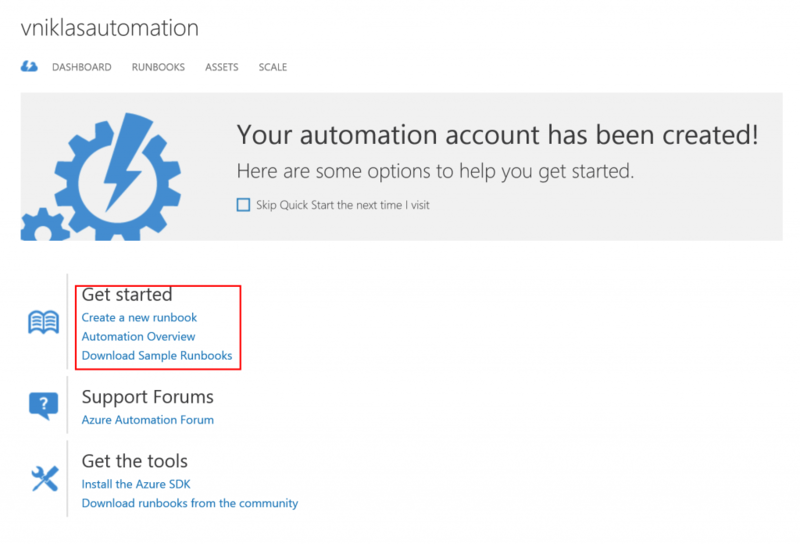 Write-Output "Runnbook started within Azure Automation"
During the day I have been digging into the Microsoft Operations Management Suite which is a collection of cloud services that you can get for a quite reasonable price. The different services included is Log Analytics, Security, Automation, Availability. So how about the automation? 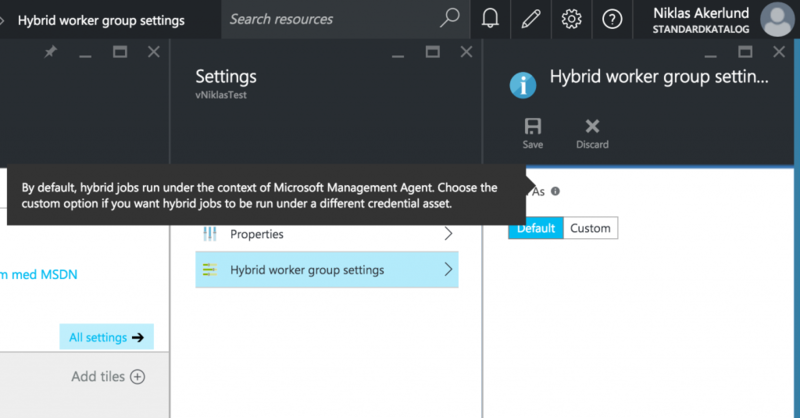 I have already been using the automaton for different services within Azure but in this case I wanted to see how I could utilize the Hybrid worker and the VMware environment residing there. With the release of VMware PowerCLI 6 some of the stack are remade as PowerShell Modules. 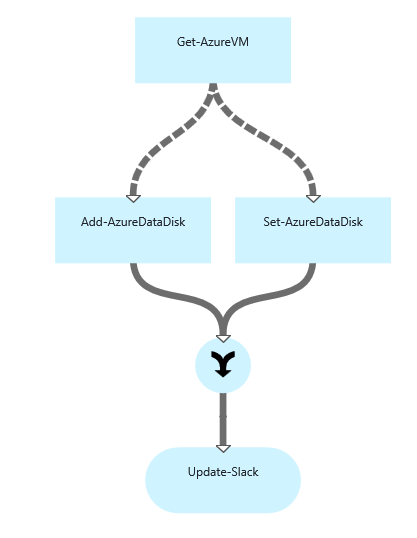 This can of course be made a bit more complex and also as you can see in the Azure automation view, scheduled. 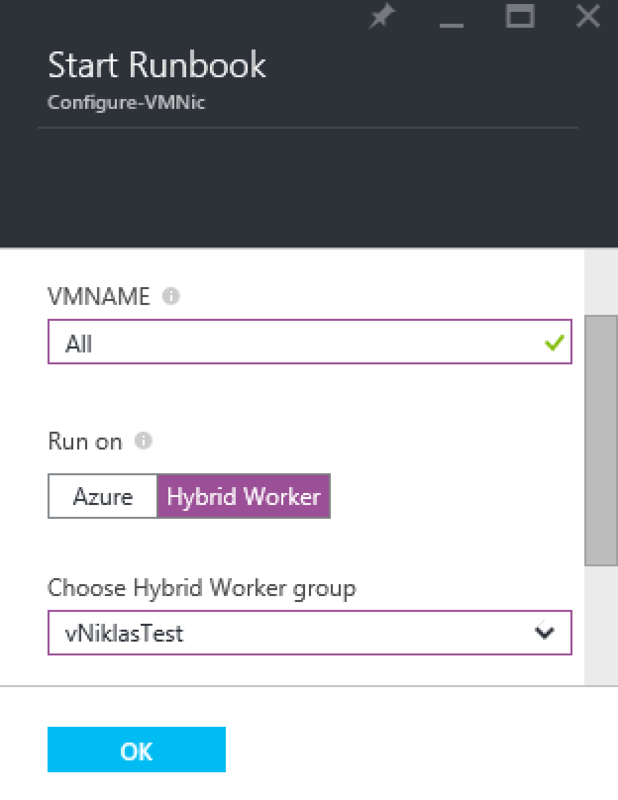 So if you have something that needs to be automated at 11 PM every night within your VMware vSphere environment it can be done by Azure Automation and Hybrid workers..
Today as the Teched Europe kicks off with the Keynote there where several new announcements and one was that Azure Automation and the Runbook gallery now are General Available. If you have not tried the Automation during the preview then you now can create a Automation account from the portal and start playing! 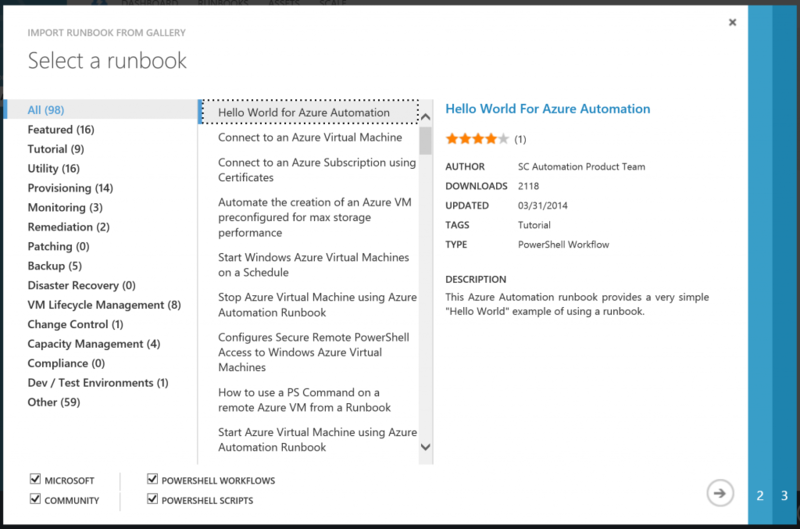 When you want to create your first Runbook, Microsoft has the Runbook Gallery that you can use to get speed in the automation process as there are several scripts that can help you get started, maybe there is already a script that fits or maybe just need a small customization to get it to do exactly what you want! Out of the box you get one module in each Automation account and that is the Azure Module, and it is the latest version right now 0.8.9. There is a possibility to add your own modules, scripts, credentials and certificates. 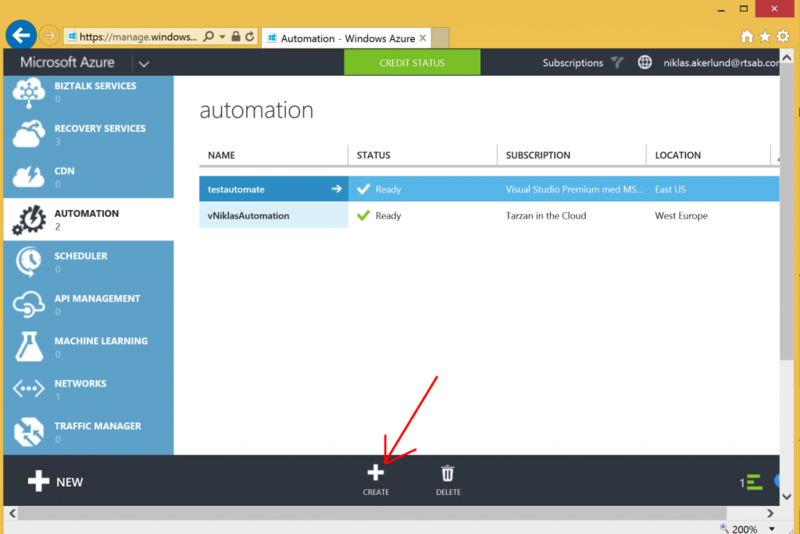 So what is the cost for running azure Automation? Now you get 500 minutes of runtime in your subscription but you can change that if you run out of “free” time to standard and then you will be billed, the 500 minutes as described below is for all your automation accounts in that subscription.